The Villa of Celle in Santomato (in the Province of Pistoia), located on the nice hills between Pistoia and Prato, originally exists already in the year 1000, but, its present form was realized, in the late seventeenth century, by Cardinal Carlo Agostino Fabroni from Pistoia. The architect Giovanni Gambini enlarged the park, designing an English-style garden of roughly sixty acres. Bordering the garden, the Villa of Celle fam continues to produce Chianti Montalbano wine and extravirgin Tuscany olive oil. In 1970, Giuliano Gori started creating the current unique amazing collection of modern artworks. 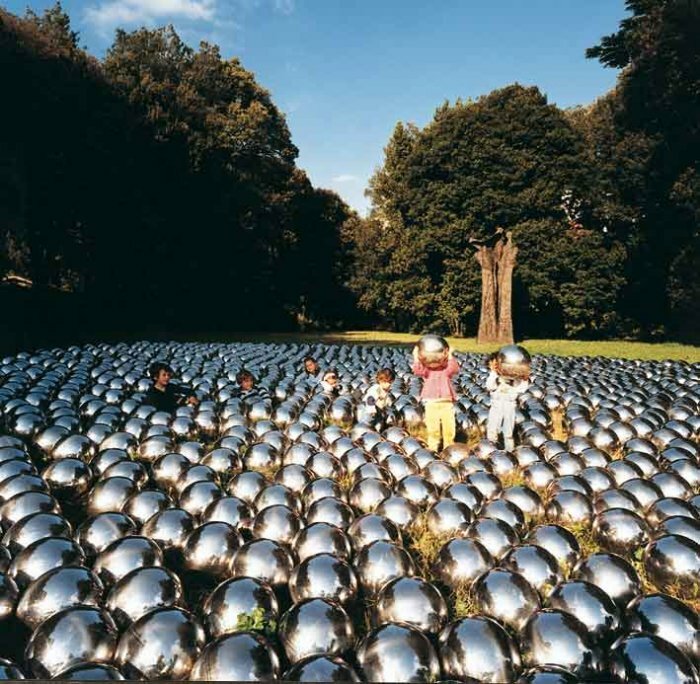 His idea was to ask to many international artists to realize their own artworks made specifically for its space. This is the reason why the collection of artworks is inseparable from the property, being became an integral part of the site and the wider landscape. 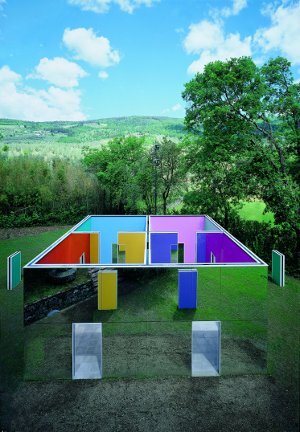 The Fattoria di Celle modern art collection is now one of the most important one in Italy and in Europe too. 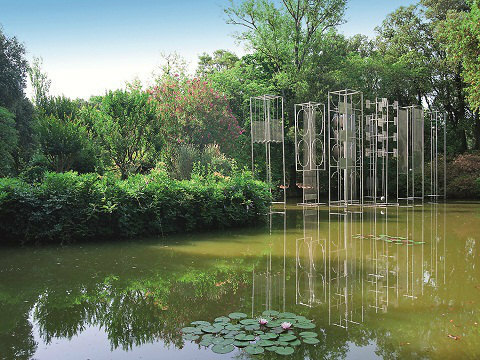 These are some of the artists present with their own sculptures in Fattoria di Celle: . Vacavilla offers a wide selection of villas with pool and apartments in the Tuscany countryside, and therefore also in the Pistoia province, including Montecatini Terme, and Pescia. This year Siena offers to its inhabitants and visitors a very rich program of artistic events: pop music, ballet, jazz, international music attractions, recitals and comic show. The program will go along you during all the July month. The last show is the 2 of August. If you are spending your °holidays in the beautiful city of Siena or in the #countryside nearby, don’t miss the opportunity to enjoy one of these appointments. If you still need to find your #accomodation in the #Sienacoutryside, ask to @vacavilla.com. The #agency based in the near #ColleVald’Elsa offers a wide selection of #villaswithpool and #apartments in the #Chianti area and in the other areas of #Tuscany. Dan Brown, Roberto Saviano, Umberto Eco, Jovanotti, Sorrentino, Frida Giannini. Giovedì 6 giugno: alle 16 nel Salone dei Cinquecento di Palazzo Vecchio ‘La bellezza ci salverà’ con Frida Giannini e Natalia Aspesi; alle 17.30 Salone dei Cinquecento meeting with Carlo De Benedetti, Ezio Mauro e Riccardo Luna; segue alle 18 ‘Il nostro bisogno di mistero’ con Dan Brown e Vittorio Zucconi; alle 21 in piazza della Signoria conference of Alessandro Baricco, alle 23 the show ‘La Cotogna di Istanbul’ con Paolo Rumiz e Alfredo Locosegliaz. Venerdì 7 giugno: alle 12 nel Salone dei Duecento di Palazzo Vecchio, Marco Pesatori will talk about ‘Lo specchio magico dell’oroscopo,’ at the same time nel Salone dei Cinquecento ‘La Terra è un bene comune?’ con Carlo Pettini, Ermanno Olmi e Calo Botta; alle 15 all’Altana delle Oblate ‘La scienza e i poteri, i poteri della scienza’ con Umberto Veronesi e Francesco Merlo; alle 17.30 nel Salone dei Cinquecento di Palazzo Vecchio Fare Rete con Federico Rampini, Riccardo Luna, Giovanni Castellucci, alle 19 incontro con Orhan Pamuk, Marco Ansaldo, Elena Stancanelli e alle 21 ‘L’Italia salvata dall’economia criminale?’ di Roberto Saviano; alle 23 in piazza della Signoria ‘Lezione di rock: i Beatles’ con Ernesto Assante e Gino Castaldo. Sabato 8 giugno: alle 13 nel Salone delle Oblate, ‘Dal made in Italy al made in Eataly: un’avventura post-industriale’ con Oscar Farinetti, alle 16 nel Salone dei Duecento di Palazzo Vecchio, ‘E’ la scuola che ci rende uguali’ con Roberto Vecchioni e Antonio Gnoli; alle 17 all’Altana delle Oblate meeting with Francesco Tullio Altan; alle 19 al Teatro Verdi ‘Quelle macchie d’azzurro’, meeting with Cesare Prandelli, Benedetto Ferrara, Gianni Mura; alle 19 nel Salone dei Cinquecento di Palazzo Vecchio ‘L’Italia postpopulista’ con Stefano Rodotà, Lucia Annunziata, Ilvo Diamanti, Gustavo Zagrebelsky; alle 21 al Teatro Verdi, spettacolo con Serena Dandini e Maura Misiti e alla stessa ora nel Salone dei Cinquecento di Palazzo Vecchio incontro con Umbero Eco e Stefano Bartezzaghi; alle 23 in piazza della Signoria Corrado Augias e Giuseppe Fausto Modugno indagano ‘I segreti della musica: Giuseppe Verdi’. Domenica 9 giugno: alle 12 nel Salone dei Cinquecento di Palazzo Vecchio incontro con Eugenio Scalfari; alle 13 all’Altana delle Oblate ‘L’Italia in movimento’ con Enrico Deaglio e Michele Serra e alle 17 ‘La mutazione italiana in pellicola’ con Paolo Sorrentino, Anna Bandettini e Curzio Maltese. 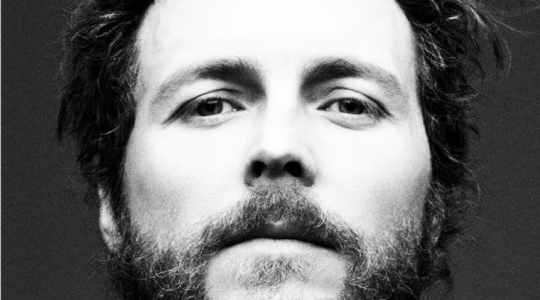 Dalle 17.30 chiusura in piazza della Signoria con Ezio Mauro, Riccardo Luna e incontro con Jovanotti. The San Giovanni Battista from Saturday 17 April is kept in the crypt of the Cathedral of Siena, until August 18. This is one of the masterpiece of Caravaggio, Michelangelo Merisi, coming from the Pinacoteca Capitolina in Rome. During the exhibition, Dialoghi 2013 organizes the Aperitives of Arts. Enjoy un aperitive under the Duomo Nuovo loggia and enjoy and admire the beautiful masterpiece of Caravaggio, listening the explanation of the touristic guide specialized inside of the Duomo Crypt. For your stay in Siena and for your holidays in the beautiful Tuscany countryside, book with Vacavilla. http://www.vacavilla.com, info@vacavilla.com, tel +39 0577 165 6690. Large farmhouse set along the Cecina river in the Sienese countryside. The farmhouse is located inside a 1200-hectare estate with stables of cattle and a lake, immersed amid the greenery, where on request fishing it is possible. Ideal position for those who love nature or to visit the principal touristic centers and cities of art throughout Tuscany. The 6 apartments, recently updated and remodeled, are in 2 separate buildings and share the common equipped areas and the swimming pool (12×6 depth m 1,60)(01/06 – 30/09). Each apartment is accessible through its own private entrance, and each one has its own personality and characteristics, remaining faithful to the Tuscan style and tradition. Baby bed, high chair and WI-FI connection available. Central heating. Parking. PLEASE NOTE: small pets are allowed but upon request at the moment of booking. For reservations less than one week, add 145 Euros to the booking price. ACCOMMODATION: (76 m2 in the small farmhouse) Gr. Fl. : access through a private loggia equipped for fresco dining. 1ST fl. : living room with fireplace (satellite TV), kitchen/dining room (oven, table for 8 people), 1 double bedroom, 1 single bedroom, 1 bathroom with shower (hairdryer, washing machine). The rooms have a mosquito net on the windows. This apartment can be combined with PIETTORRI PAPAVERO for a total of 7 sleeps with a discount of 10%. LOCATION: 4 km Monteguidi (grocery shop), 14 km Casole d’Elsa, 26 km Colle Val d’Elsa ( any kind of shops), 32 km Monteriggioni, 35 km San Gimignano, 38 km Volterra, 45 km Siena, 62 km Marina di Cecina (beaches), 81 km Florence. The Bistrot, “La Bottega del buon caffè”, is an old coffee shop, transformed in frecnh-style Bistrot. Little tables, closed each others, bottles of wines on the walls, and a good Champagne menu . The dishes instead, despite they can appear having a french touch, have an unmistakable Italian taste. The best of the best. This time, let me talk about a cake: the cheese cake is really the best one I have ever eat. 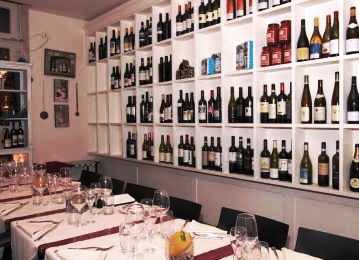 The location of the restaurant is not in the old town, but in a residential departments, close to the Fiorentina Stadium. The address is Via A. Pacinotti, 44, Florence, Province of Florence Phone:. The reservation is suggested 055 553 5677. For your stay in Florence, contact Vacavilla and book a beautiful apartment. Beautiful apartment (abt 60 m2) for a romantic stay in Florence for two people. The bright apartment has been completely renovated and equipped with all modern conveniences, furnished in modern style with a particular attention to details such as light-colored pieces of furniture that perfectly match the wooden floors. Every room has been created to make the apartment really functional and welcoming to make you feel at home. The apartment is located on the first floor of a typical building of the beginning of the 20th century on via Romana, an old Roman street once used to enter the city passing Palazzo Pitti and ‘Ponte Vecchio’. In this area of Florence you can still feel the heartbeat of the art of the florentine craftsmen. The street is characterized by small handicraft workshops, wine bars and typical restaurants. 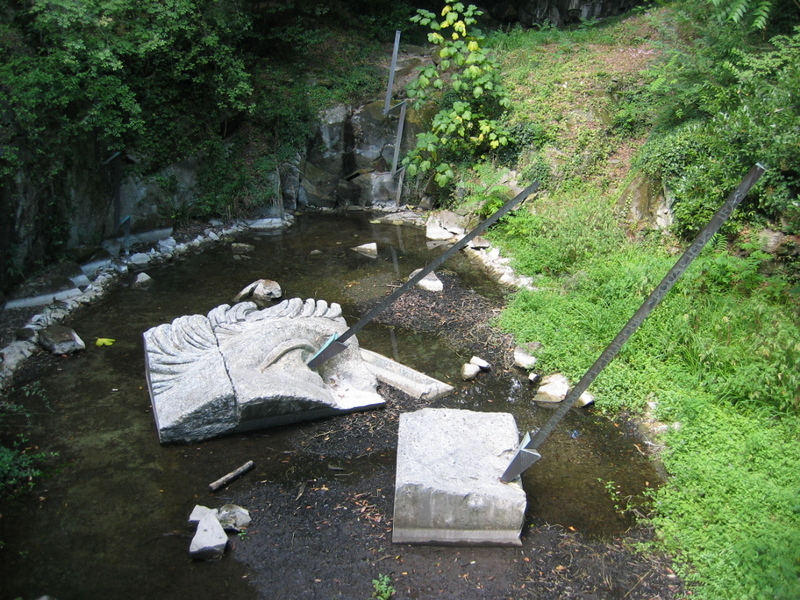 It is in a very central but quiet location, about 100 m far from the entrance of the gardens of Boboli. The whole area is particularly nice in the evening thanks to a special street lighting that brings out all the wonderful art and historic features. Wireless Internet connection. To be requested at the moment of booking and to be paid on the spot: extra cleaning hours (15 Euros/hour) and cook for dinners or cooking classes. No smoking please. PLEASE NOTE: for reservations less than one week, add 45 Euros to the booking price. To be paid on the spot: electricity, gas, heating or air-conditioning (25 EUR/day). ACCOMMODATION: 1st Fl. : entrance, kitchen (freezer, microwave oven, dish washer, washing machine, American and Moka coffee machine, electric oven), living room (Satellite TV 37’’) with small balcony that gives onto an internal courtyard, 1 double bedroom with en-suite bathroom with shower, 1 bathroom with shower. LOCATION: 100 m Boboli Garden and bus stop, 300 m Palazzo Pitti, 400 m Ponte Vecchio. 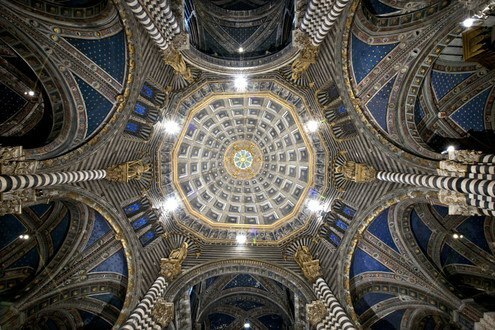 The magnificent ceiling of the Cathedral (Duomo) of Siena is visible again. This is a great news for everybody, but mainly for the travellers on the way to Siena. After an extensive refurbishment, one of the masterpiece of one of the more beautiful cities in Tuscany, has came back to be admired and to fascinate who will visit the Cathedral. For your stay in Siena, contact http://www.vacavilla.com. Susy, the villa specialist, will be happy to find a villa for you holidays in Tuscany. Take a look to Villa Belvedere, one of the last arrivals. Palazzo Pretorio re-opens after 16 years of refurbishment works exhibiting the “The Plaster Works”, the collection of drawings and plaster works donated by the Lipchitz Foundation to the city of Prato. Few meters from the Palazzo Pretorio, in Ricasoli street at the 22, there is the historical shop of Antonio Mattei, where you can find the best “cantuccini” in the world. The original one in the blue package. Don’t miss Lipchitz and the biscuits of Antonio Mattei. 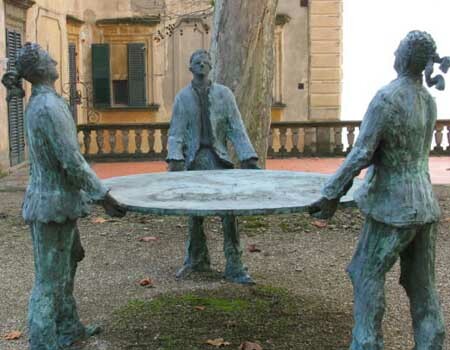 For you stay in Tuscany, rent a villa or an apartment, in a city of art or in the countryside, contact Vacavilla. http://www.vacavilla.com, e-mail: info@vacavilla.com or call to ++39 0577 165 6690.